Andy started his career within the beauty and aesthetics industry in 2013. Having re-trained and taken a career change in his early 30's. 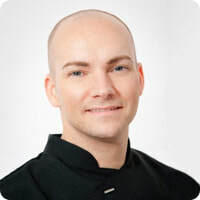 Originally with an IT analyst background of 11 years, but his real passion was for skin health. Having suffered with acne for the majority of his 20's and learning about the skin, as well as researching about acne to manage the condition, in 2011 Andy started writing a skincare blog to share his findings and experience with others. It was at this point he realised his passion for skin health was more than just a hobby and decided to retrain as a Facialist. Since originally qualifying in basic Level 2 & 3 beauty Andy went on to complete advanced training with various brands within the industry. Alongside building a client base, in 2015 he became National Educator for CosMedix UK and helped to develop an online learning platform as well as delivering practical training. In 2016 Andy joined Sally Durant Aesthetic Education & Training as a student and completed his Level 4 Diploma in Advanced Skin Studies, Chemical Peel and Micro-Needling in October 2017, passing with Distinction. Andy is regularly featured in online press giving his expert opinion on all things skin and has been featured in The Metro, The Daily Mail and Cosmopolitan alongside top dermatologists, cosmetic doctors and aesthetic nurses. As well as freelance work for skincare brands including working backstage at London Fashion Week. Andy has also been nominated for Beauty Industry Professional of the Year in the Safety in Beauty Diamond Awards for 2 years running. Andy joined the team in January 2018, transitioning from student to tutor. Helping to mentor other Level 4 students, as well as delivering practical training and developing further training materials. Andy is dedicated to provide the best and safest treatments to his private clients as well as raising education standards within the beauty and aesthetic industry.